Government cannot fix us. Politics will never heal us. Those who follow Jesus Christ and identify themselves as Christians need to understand and believe the first two sentences of this article or you will live a highly disappointed life. Disunity is triumphant in our nation today. Some pride themselves over creating it while others grieve when our nation experiences it. America does not get an exception to this basic principle. Neither does a family, church, business, or even a long-term friendship. 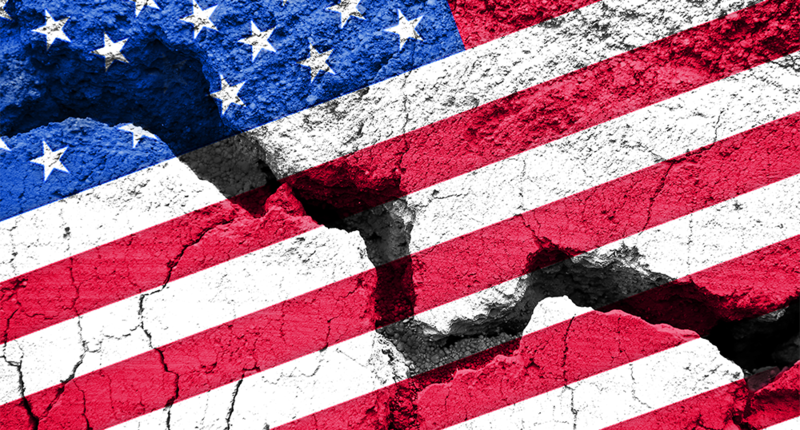 Therefore, how should we respond as Christians when America is divided like it is today? Many Christians are so disappointed and fed up with matters about America, they struggle even to pray for our nation. Is this right? Is this justified? Because where America is today IS the reason we DO need to pray. If all was perfect and unity abounded across our nation, we may enjoy praying for America more regularly, but whether we enjoy it or not, it is needed. Praying for America should be our first choice, not our last choice! God is our hope; our last, great, and only hope. Therefore, we need to pray like we believe this with all we are. The alarm clock is going off in our nation and this is not the time to push the snooze button. America needs to experience the next great move of God. That is why we pray. That is why we will prioritize praying for America on our upcoming National Day of Prayer on Thursday, May 2. Will you join us? Prayer precedes every great movement of God biblically and historically. Therefore, we need to pray and ask God for a mighty, great spiritual awakening across America. That is why the National Day of Prayer is a nationwide movement of prayer for America. Christians need to follow Jesus’ teaching of loving one another. 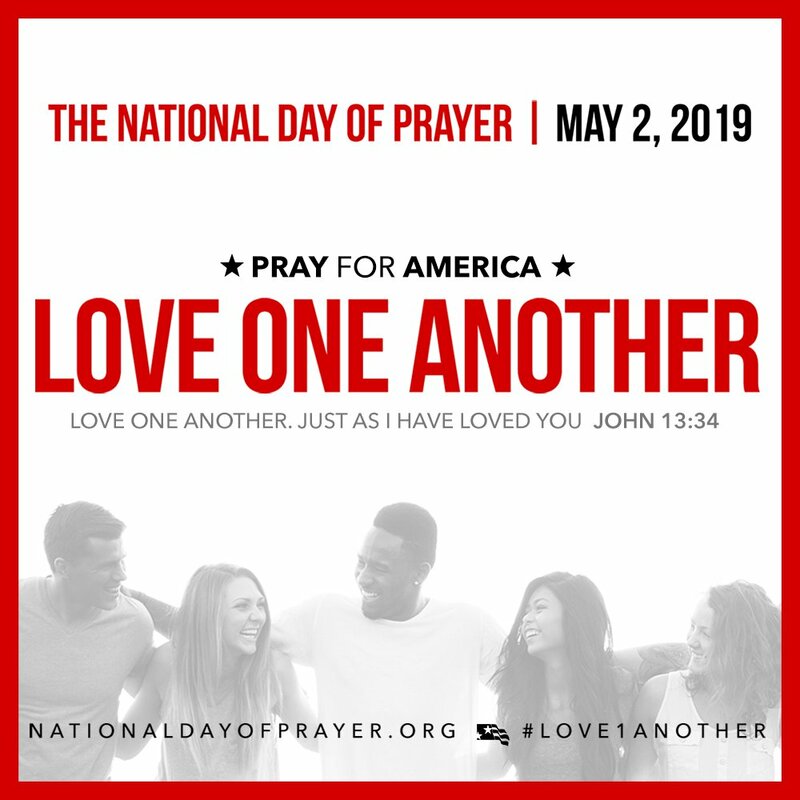 John 13:34, “Love one another, just as I have loved you.” This what we are calling our nation to do on Thursday, May 2. We need a Love One Another movement that begins in the church of Jesus Christ. Christians should never take pride in being filled with skepticism or criticism of other people. We should love all people just like Jesus did and does: willfully, sacrificially, and unconditionally. Love One Another needs to become a movement that also infiltrates every part of American life when the church is experiencing this movement within their own fellowship. The Bible is God’s infallible Word; it is Truth without any mixture of error. We must focus our lives, churches, and futures on taking the gospel of Jesus Christ to every person in America and across the world. We need to stop fighting over secondary issues and rise up together to become the spiritual light in this darkening America and World. The church needs to model loving one another or we forfeit our right to speak into the future of our nation. It is time to come together in unity. Our future is not in the hands of the United States government; our future is in the hands of our Sovereign God. Yes, our times are in His hands! That is why I believe our greatest hope lies only in Jesus Christ, His Gospel, and the advancement of this Good News message reaching every corner of America and across this world. While we call out to God for His Church to be revived by the Spirit and begin to love one another, resulting in coming together in unity, we need to simultaneously pray extraordinarily for the next Great Spiritual Awakening in America. I believe this is our greatest hope in America.